Medical Weight Loss Clinic has over 30 years of experience helping individuals lose weight and learn how to keep it off permanently. Medical Weight Loss Clinic is administered by Michigan and Ohio Board Certified Physicians who are dedicated to helping you achieve your weight loss goals and maintain a healthy weight. Because everyone’s body and relationship with food is unique, Medical Weight Loss Clinic offers comprehensive customized, non-surgical weight loss programs utilizing the right combination of clinical and lifestyle support to fit your personal needs. During your consultation, we will discuss your goals and review program and meal plan options based on your medical history, tailoring it to your weight loss needs. Meals on Medical Weight Loss Clinic programs are based on real, healthy foods that you get from the grocery store. We believe that this is a better recipe for long term success than buying a brand of “ready made” meals! We offer a wide range of nutritional supplements which boost your weight loss and make you feel full. We also offer Physician-supervised programs that use prescription medication for those that medically qualify. If you prefer a program without a prescription, we have developed several exclusive weight loss enhancement products, from fat burners to natural appetite suppressants. These products are designed to increase your results and improve your overall health and wellness. 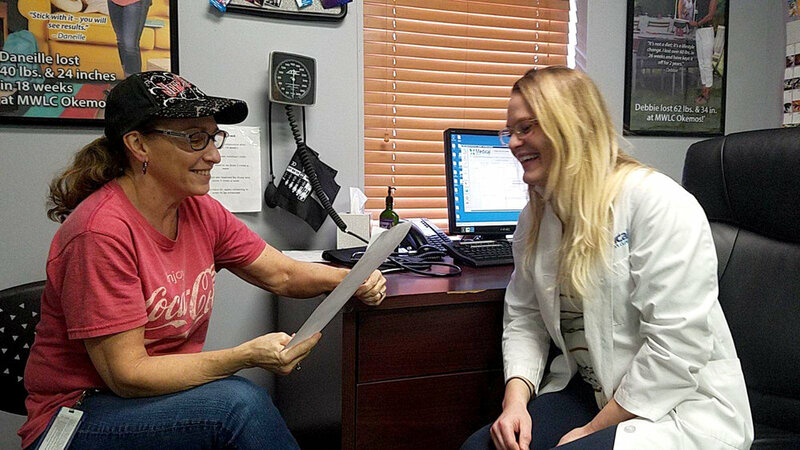 There’s no surgery, no group meetings, and because everyone faces different challenges with weight loss, every visit is a personal, one-on-one meeting with our Clinic staff, where you will receive the guidance and support you need to succeed.